Keep You Laughing Production will present the 2nd Annual “The Truth” about Breast Cancer comedy tour starting next month. A comedienne and breast cancer survivor will share her story via comedy on Oct. 1 at 3 p.m. at Birmingham-Southern College, Munger Auditorium, which is located at 900 Arkadelphia Road. Carla “The Truth” Youngblood of Birmingham has been performing clean comedy for six years. 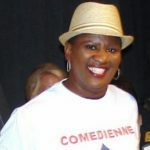 She was featured on the nationally syndicated radio program, Tom Joyner Morning Show, last year on Inside Her Story with Jacque Reid to discuss the creation and success of the first “The Truth” about Breast Cancer comedy tour. This interview led to her being invited to perform in Brooklyn, New York. Also in 2016, she was accepted in the Women in Comedy Festival which was held in Cambridge, Mass. During the festival, she performed at Laugh Boston, ImprovBoston Theatre and The Comedy Studio where she has been invited back. After being diagnosed with breast cancer in October 2015 and having 16 rounds chemotherapy, a double mastectomy and 28 radiation treatments, she has taken the tour to Columbus, MS and Las Vegas, NV during the World Series of Comedy. Now, Carla never performs without sharing at least a piece of her testimony. She has made it her mission to share her story via comedy. Carla’s goal is to take the tour all over the United States to bring more awareness to breast cancer and to help others dealing with extremely difficult situations view life in a different perspective. About 1 in 8 U.S. women will develop invasive breast cancer over the course of her lifetime. In 2017, an estimated 252,710 new cases of invasive breast cancer are expected to be diagnosed in women in the U.S., along with 63,410 new cases of non-invasive breast cancer. Tickets can be purchased at www.keepyoulaughing.com for $20. Tickets will not be sold at the door. 10 percent of all ticket sales will be donated to charity.